The bones of the pelvis connect the bones of the lower limbs to the axial skeleton. The bones of the human skeleton are divided into two groups. The axial skeleton includes all the bones (that form bony structures) along the body’s long axis. The bones of the appendicular skeleton make up the rest of the skeleton, and are so called because they are appendages of the axial skeleton. The appendicular skeleton includes the bones of the shoulder girdle, the upper limbs, the pelvic girdle, and the lower limbs. 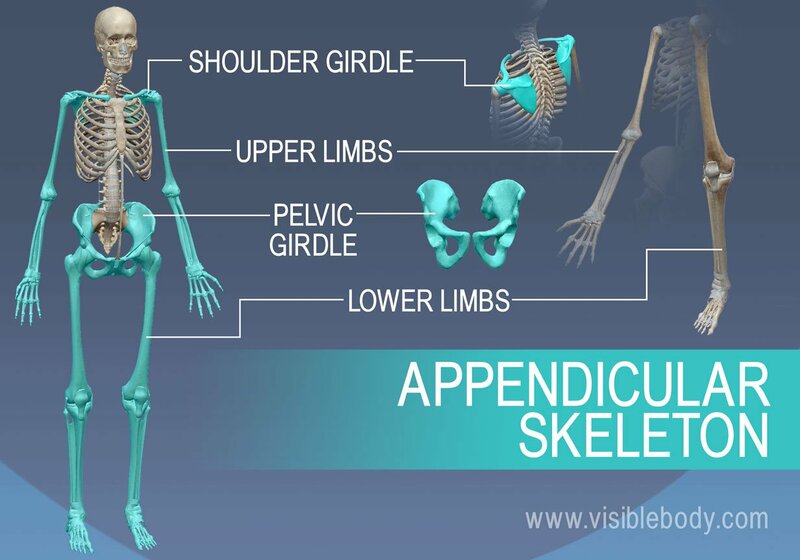 Let’s take a look at the bones of the appendicular skeleton. The pectoral or shoulder girdle consists of the scapulae and clavicles. The shoulder girdle connects the bones of the upper limbs to the axial skeleton. These bones also provide attachment for muscles that move the shoulders and upper limbs. 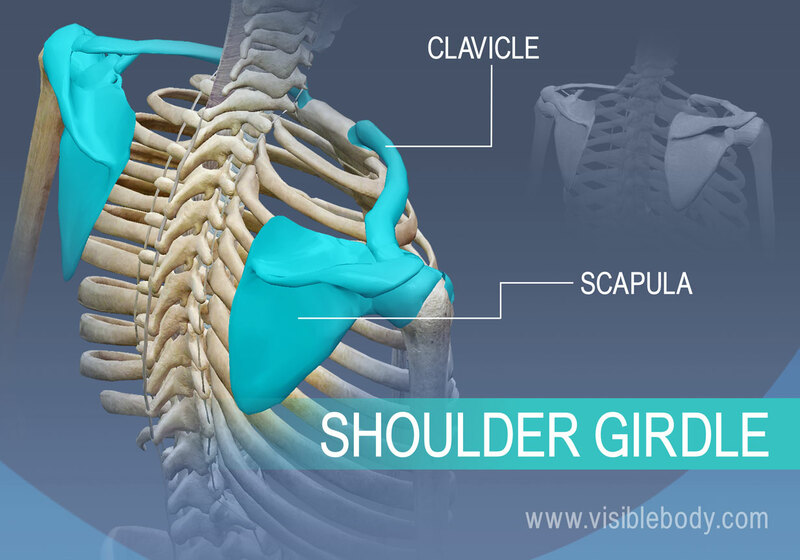 See the bones of the shoulder girdle in 3D. This video clip is from the desktop version of Human Anatomy Atlas. (The app is also available for iPhone/iPad, Android, and Windows tablet.) It shows how the scapula and clavicle articulate and form the shoulder girdle. 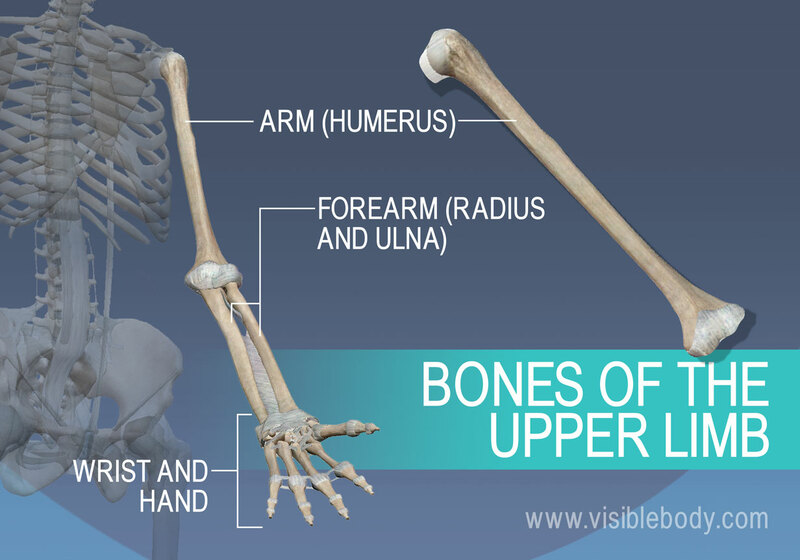 The upper limbs include the bones of the arm (humerus), forearm (radius and ulna), wrist, and hand. The only bone of the arm is the humerus, which articulates with the forearm bones–the radius and ulna–at the elbow joint. The ulna is the larger of the two forearm bones. Wrist Bones. The wrist, or carpus, consists of eight carpal bones. One mnemomic to remember the carpal bones is the sentence: Some Lovers Try Positions That They Can’t Handle. 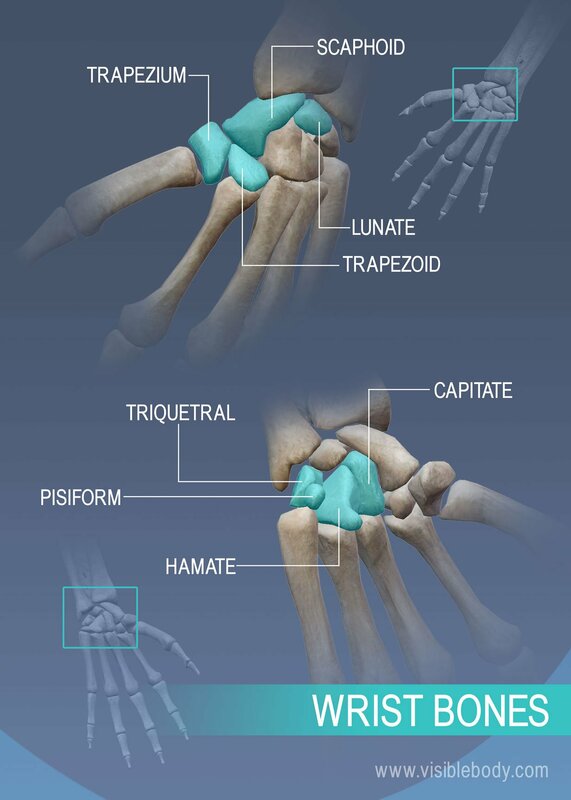 The eight carpal bones of the wrist are the Scaphoid, Lunate, Triquetral, Pisiform, Trapezoid, Trapezium, Capitate, Hamate. Hand Bones. 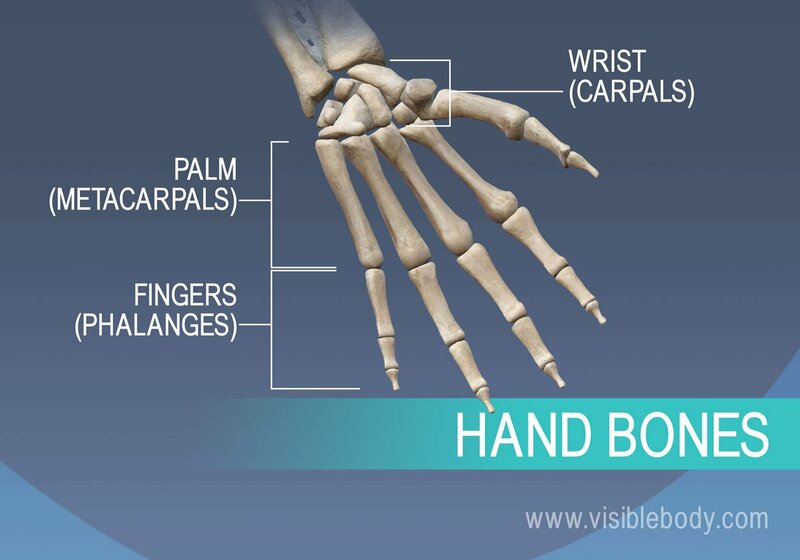 The hand includes 8 bones in the wrist, 5 bones that form the palm, and 14 bones that form the fingers and thumb. The wrist bones are called carpals. The bones that form the palm of the hand are called metacarpals. The phalanges are the bones of the fingers. 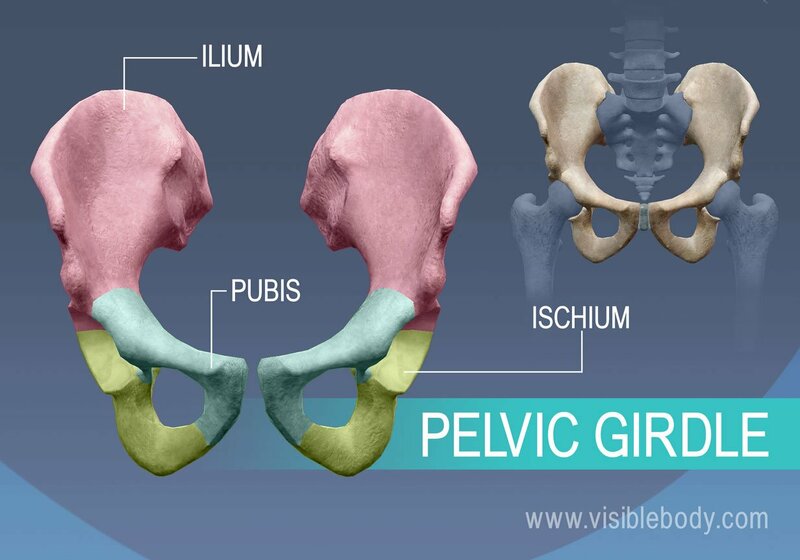 The pelvic girdle is a ring of bones attached to the vertebral column that connects the bones of the lower limbs to the axial skeleton. The pelvic girdle consists of the right and left hip bones. Each hip bone is a large, flattened, and irregularly shaped fusion of three bones: the ilium, ischium, and pubis. Female and Male Pelvis. The female and male pelvises differ in several ways due to childbearing adaptations in the female. The female pelvic brim is larger and wider than the male’s. 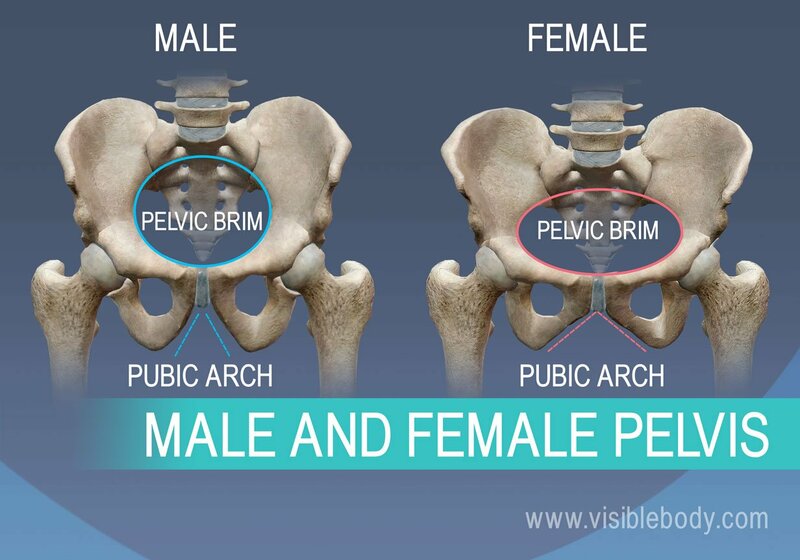 The angle of the pubic arch is greater in the female pelvis (over 90 degrees) than in the male pelvis (less than 90 degrees). The male pelvis is deeper and has a narrower pelvic outlet than the female’s. The lower limbs include the bones of the thigh, leg, and foot. The femur is the only bone of the thigh. 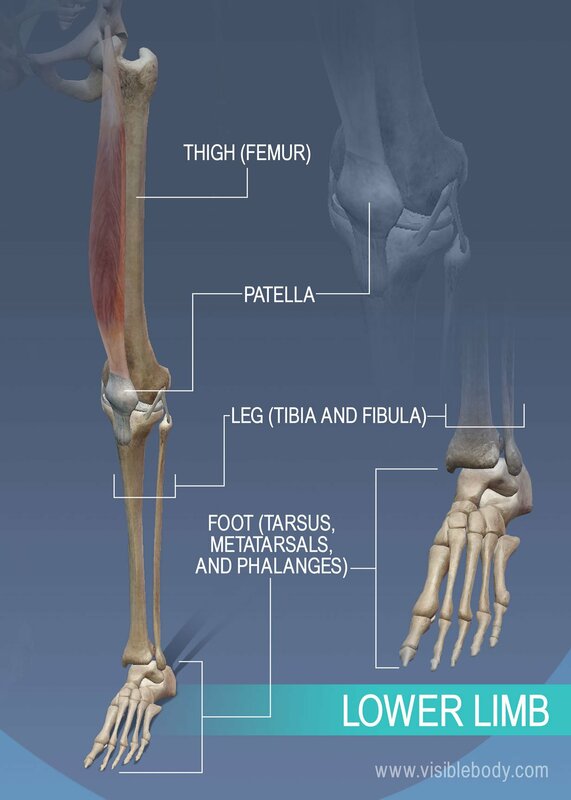 It articulates with the two bones of the leg–the larger tibia (commonly known as the shin) and smaller fibula. The thigh and leg bones articulate at the knee joint that is protected and enhanced by the patella bone that supports the quadriceps tendon. The bones of the foot include the tarsus, metatarsus, and phalanges. Foot Bones. The bones of the foot consist of the tarsal bones of the ankle, the phalanges that form the toes, and the metatarsals that give the foot its arch. As in the hand, the foot has five metatarsals, five proximal phalanges, five distal phalanges, but only four middle phalanges (as the foot’s “big toe” has only two phalanges). Ankle Bones. 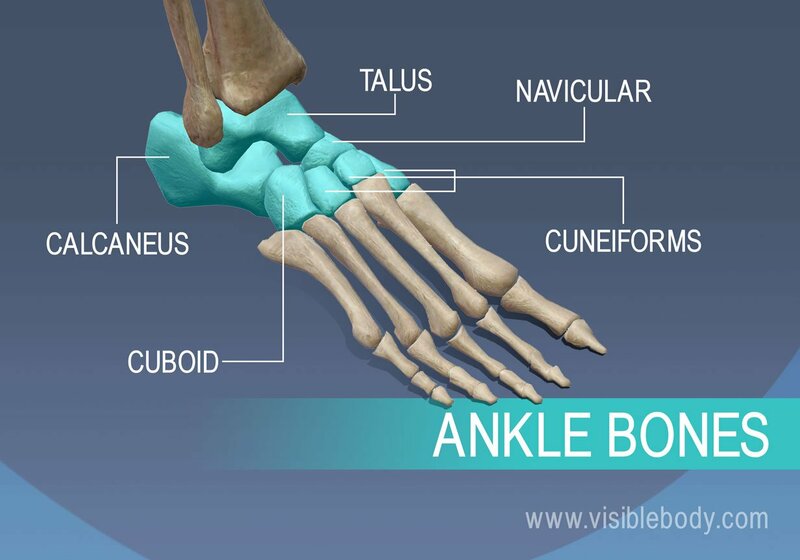 The ankle, or tarsus, consists of seven tarsal bones: the calcaneus, talus, cuboid, navicular, and three cuneiforms. Foot Arches. 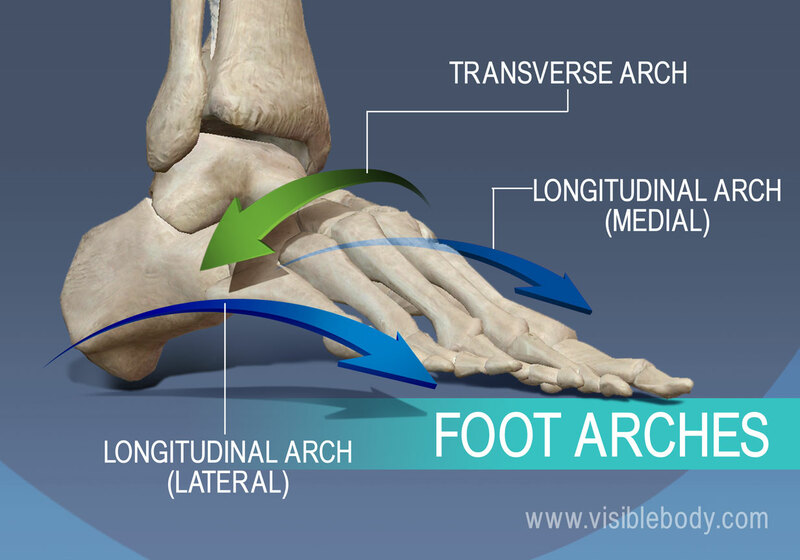 The arches of the foot are formed by the interlocking bones and ligaments of the foot. They serve as shock-asborbing structures that support body weight and distribute stress evenly during walking. The longitudinal arch of the foot runs from the calcaneus to the heads of the metatarsals, and has medial and lateral parts. 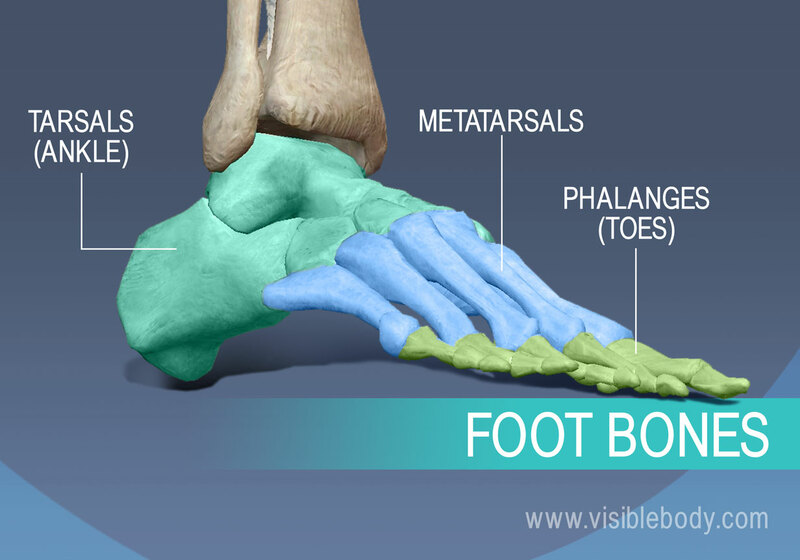 The transverse arch of the foot runs across the cuneiforms and the base of the metatarsal bones. Human Anatomy Atlas offers thousands of models to help understand and communicate how the human body looks and works. X-rays of the hand, hip, knee, and ankle. Stony Brook University School of Medicine. The Body Online. An illustration of the shoulder and hip from the 1918 edition of Gray's Anatomy of the Human Body.